To get a score for a Data Center, you need 9 months of IT Energy data. 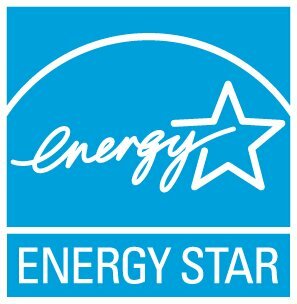 Previously, we required 12 months of IT Energy data, but because Data Centers often move in and out over time, we’ve set the limit at 9 months to provide flexibility while maintaining the integrity of the ENERGY STAR score. Wait 9 months for a score. Create a new Property Use* for your Data Center, and start entering your IT energy. Once you have 9 months of data, you will get a score for your property including it’s Data Center. This is the most accurate option. Use Data Center Energy Estimates. This option will enable you to see a score and earn certification. For the first 9 months, use Apply Data Center Energy Estimates = Yes, with the “Current As Of” date set to when the data center moved in. Once you have 12 months of IT Energy, update to Apply Data Center Energy Estimates = No, with a Current As of date at the beginning of the first 12 month period that has IT Energy data. Note that if Apply Data Center Energy Estimates = Yes for any period of time during a 12 month metric year, then the data center estimates will be used for that entire period. Create the Data Center Property Use* as if existed BEFORE it actually moved in. Enter 0 Gross Floor Area (GFA) for the Data Center and 0 kWh for the meter bills for the months before you have real data – for at least 9 months of total data. This “work-around” will result in a slightly inflated score. Your property is not eligible for certification with this option. Track the Data Center as an Office for the first 9 months. This option will enable you to see a score, and track your building over the first 9 months, and even earn certification, but it will be a conservative estimate because Data Centers use more energy than Offices. This is an option for properties that are not eligible to use Data Center Energy Estimates. Create a new "Office" Property Use* for your Data Center. Choose the Office property type, instead of Data Center. Enter the Property Use Details (Number of Workers, Hours of Operation generally open 24 hours, Number of Computers = the number of your servers). Adjust your GFA. Edit the GFA of your primary Office Property Use to subtract the new Office/Data Center Property Use so that your total property GFA is still correct. Track your IT Energy in a new IT meter. You'll get an alert that your IT meter is not associated with a Data Center, but you can ignore it. Then, on the Details tab, under the Action Menu, select "Update with New Information" for the new Data Center and enter the actual Property Use Details (the “Current As Of” date will be the date the Data Center really opened). Associate the IT Energy meter with the new Data Center property use. On the Energy tab, click “Change Meter Selections” then scroll down the “IT Energy Totals” box, where you will select the Data Center property use to associate with this IT meter. Delete the old Property Use of Office that you were using as a placeholder for your Data Center. * Because Portfolio Manager does not have Start and End dates for Property Uses, see this FAQ for details on how to enter a new property use.